If you are looking for a preschool in the neighborhood, the Kenilworth Community Preschool is having an open house soon. Come meet our teacher, chat with parents of current students, see the classroom, and pick up an application for enrollment. If you are interested in joining our community and are unable to attend the open house, please contact the membership coordinator at kenilworth.membership@gmail.com with questions, to schedule a tour, and to request an application. Kenilworth Community Preschool is a play-based preschool that welcomes three to five-year-old children into a creative, warm, and inviting environment. As a cooperative preschool, we work in partnership with families and in connection with the community. Learn more by visiting www.kenilworthcps.org. The permit applications are below. "Rising on the banks on the mighty Willamette River during the mild winter of 2009, the Water Avenue Coffee factory creates handcrafted coffees in Portland’s Southeast Industrial District." 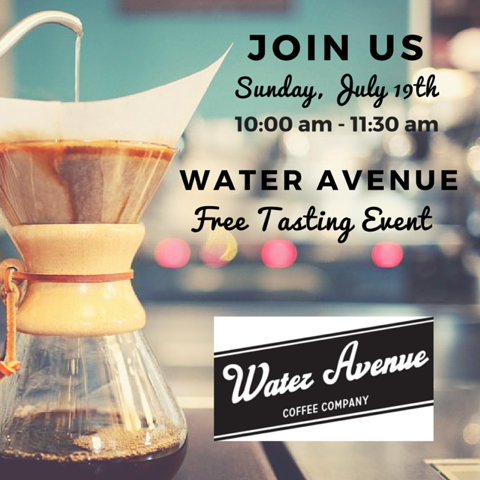 Join reFRESH and Water Avenue Coffee for a complimentary Pour Over Coffee event. Aaron Baker, Water Avenue’s wholesale service director will be here sampling various blends of their fair trade and locally roasted beans. He’ll be ready and willing to answer any questions you might have about their coffee and brewing styles PLUS we’ll also be sampling some of our fresh baked treats from Pearl Bakery and Bowery Bagels. Come by for what surely will be a fun and informative event. 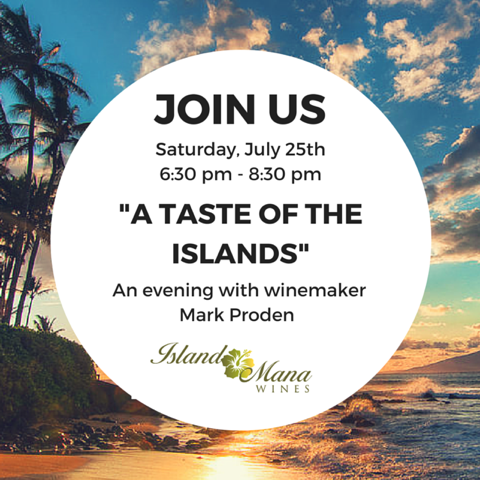 reFRESH is thrilled to collaborate with local wine maker Mark Proden of Island Mana and Bodichitta wine labels for a “Taste of the Islands”. Perfectly aligned with reFRESH’s “Keep it Local” mentality both labels showcase Oregon grape wines (Pinot Gris, Chardonnay, Pinot Noir, Marachel Foch) blending the varietals with tropical flavors such as pineapple, guava, and passionfruit. What truly sets these wines apart is that unexpected pop of flavor that will instantly transport you to the white sandy beaches of Hawaii. This complimentary event will feature tastings of the labels most popular wines. Passed mini samples of our best selling sandwiches will also be served. Stop by and mingle with your neighbors as well as reFRESH’s co-owners Si Nae Lim and Sara McMahon for what will surely be a fun filled evening. Recently, T-Mobile sent out notices of a public meeting to discuss an intended cell tower in our neighborhood. One of our board members attended this meeting and was able to voice our collective concerns. Through rigorous research, the board member found that T-Mobile violated 5 administrative rules subsequently our neighborhood association agreed to send out this letter to the city. Feel free to comment below with any further questions! In some twist of fate, CKNA has made it to the championships this Saturday (August 2nd, 2014). We play against the Fo-Po Pirates at Mt. Scott Park 2-4. 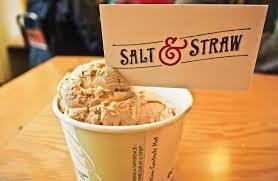 Ice-cream social (Salt&Straw, yum) afterward! All ages, family friendly. We ask that each participant or family contribute $5 to play. In other news, Block Party on August 5th 6-8. National Night Out is a great time to meet your neighbors and in our neighborhood we meet over delicious BBQ provided by the neighborhood association and Kenilworth Presbyterian Church. Bring a side or dessert to share. 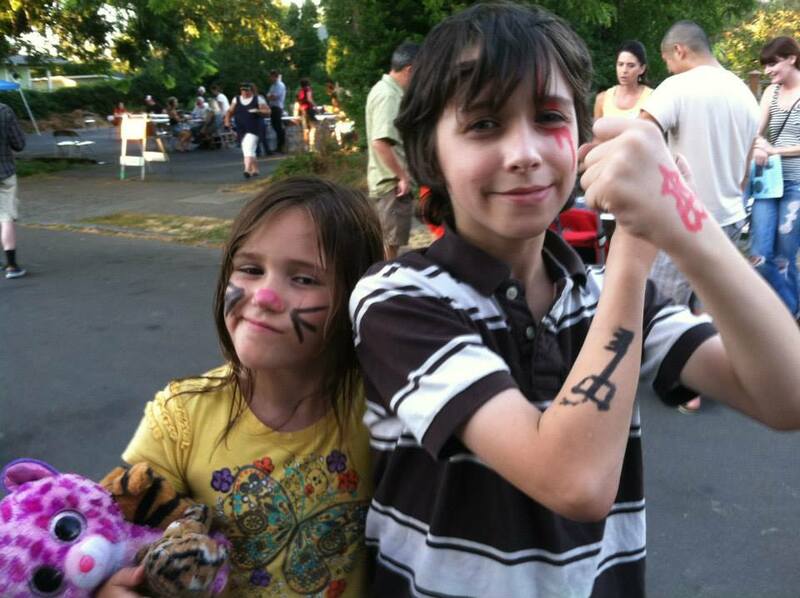 We will have live music, face painting, sidewalk chalk, a fire truck and more! Come on out for one or both events!